The Artisan Two Tone Worktop Saver is made from toughened glass and is ideal for food preparation and protecting the worktop. The glass surface of worktop saver is heat resistant up to 160°C which allows hot pots and pans to be placed on the worktop saver. 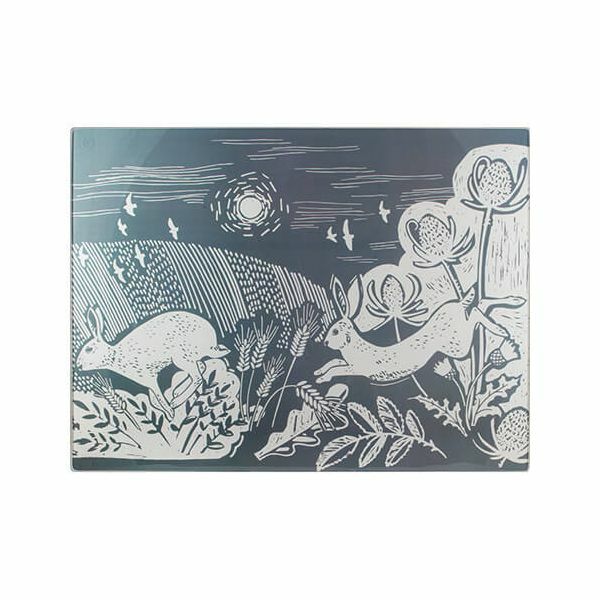 Part of this Artisan collection, this worktop saver makes a great gift and features the blue illustrations of a british countryside. The worktop saver has rubber feet on each corner to keep it in place on your work surface.